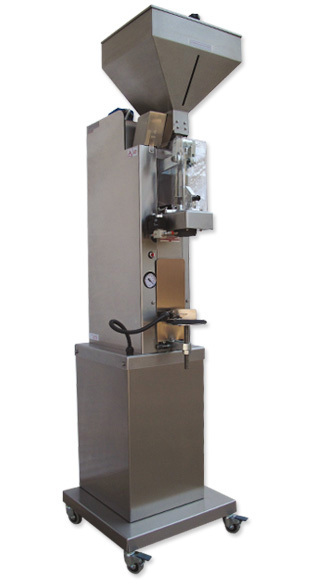 The corking machine can handle corks with a maximum measurement of up to Ø 26 x 50 mm. Corks bottles and straw-covered flasks of any height, by regulating the bottle lifter load plate with an automatic sensitized block which eliminates any possibility of breakage. (With a safety solution in the bottle lifter load plate). Control with 24V micro-sensor on the bottle lifter load plate. Metal hopper with automatic supply with a capacity of about 500 corks.